Overwatch was one of 2016’s top video games, a competitive multiplayer shooter which took the world by storm last year and has garnered a loyal following. Actually, the game currently has millions of players, while Blizzard has kept improving its online multiplayer hit with a series of patches which have come out since the game debuted in May 2016. Overwatch’s latest patch is now live, and features quite a few changes and additions to the game which both diehard veterans and newcomers will appreciate. Amongst these is the addition of a new map to the game, which the Overwatch team has named “Horizon Lunar Colony”. This comes with an interesting backstory too, with Blizzard saying of the map on its official website that “the Horizon Lunar Colony’s goal was to examine the effects of prolonged extraterrestrial habitation—on human and ape alike. The scientists’ research proved incredibly promising…until, suddenly, all contact and communications with the base were lost”. What’s clear, though, is that if this map turns out to be as entertaining to play on as other maps like Nepal or Hollywood, then it’s likely we will be enjoying plenty of memorable multiplayer matches on this Horizon Lunar Colony map. Also noteworthy is that there will be several new legendary skins added to the game, which you will be able to find in classic loot boxes. These legendary skins are Oni Genji and Officer D.Va, which were part of the earlier Heroes of the Storm promotion, by which will thankfully now be available to more players. The biggest changes made by Blizzard in this patch have to do with the game’s heroes though, as the US company has many several balance changes which will have an effect on how Roadhog, McCree and Reaper play in the game. 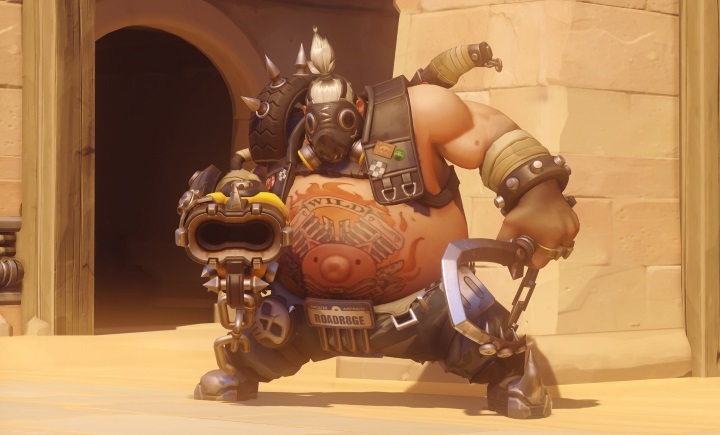 In Roadhog’s case, Blizzard has made one important change that will increase your odds of survival when playing as the brute with the big hook, as his head size has been reduced by one fifth, meaning sniper characters like Widowmaker will have a harder time hitting the Aussie hero. And perhaps to compensate for increasing Roadhog’s odds of surviving in a match, his scrap gun bullet damage has been reduced, although the fire rate and clip size have been increased though. Blizzard has also made a few changes to bounty hunter McCree in this patch, which affect his ultimate ability, known as “Deadeye”. The changes made in this patch made Deadeye more powerful, as you less time will be needed to lock on to targets and you will also deal more damage overall when using McCree’s ultimate in a match now. The ghostly assassin Reaper has also become a more powerful fighter in Overwatch after this patch, as Blizzard has changed the way his passive ability works in the game. Gone are his health orbs, and the US mercenary now regains 20 % of all damage he does to other heroes as health, which is something that could surely help you survive in a match when playing as Reaper (and as Blizzard points out, this could make him particularly effective when going toe to toe against tank heroes, which have tons of health). So it looks like this latest patch will make playing Blizzard’s Overwatch and even better experience, and hopefully the US company will keep adding new features to their game. Also, amongst other things, Overwatch will also be getting new animated short movies which will flesh out the game’s universe and characters even more, while we can expect Blizzard to add another character or two and keep fine-tuning their 2016 online multiplayer hit this year.